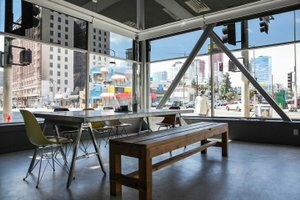 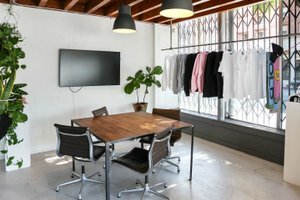 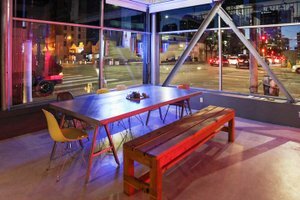 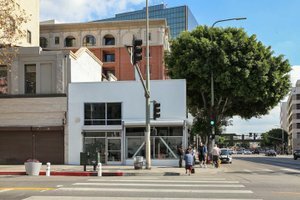 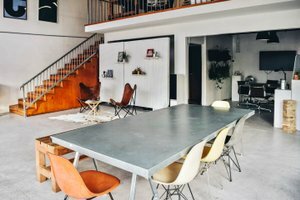 This space in Downtown LA is a multi-purpose creative space available on a temporary basis. 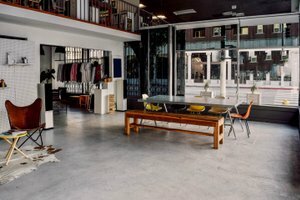 Our space is ideal for a pop up shop, a showroom, or a gallery space, panel events, production, and other events having to do with art and cultural connectivity. 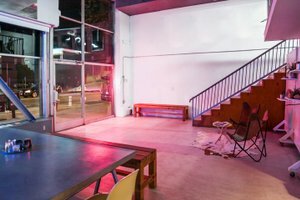 As a space for production services, there is one large storefront with wrap-around window displays on either side of the space with a corner view of the street. 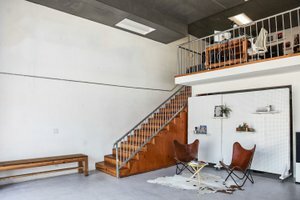 There is a mezzanine space upstairs that can be used as a space for storage/food/office, or to film a small office set up.